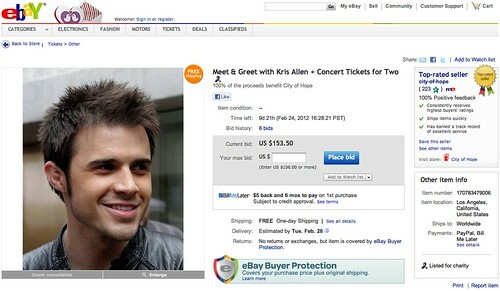 Charity auction: bid on two meet & greet passes plus concert tickets to any Kris Allen show worldwide! What’s included: 2 tickets that will be left at will call to any upcoming public show worldwide in 2012 that has tickets sold to the public as well as radio station shows. This auction also includes a 2 person meet & greet with Kris. 100% of the proceed will benefit City of Hope, an independent biomedical research, treatment and education institution in the fight to conquer cancer, diabetes, HIV/AIDS and other life-threatening diseases. Click here to see world clocks, click here to view countdown clock. Text TREVORLIVE to 51515 to receive footage from the event delivered to your mobile phone. (Powered by Mogreet). You’ll also be entered into a raffle to win a snowboard from MillerCoors. Must be 21+ to win. Text HELP for help or STOP to cancel. Messages and data rates may apply. Mary J. Blige, Diego Boneta, Darren Criss, Miley Cyrus, Jesse Tyler Ferguson, Barret Foa, Neil Patrick Harris & David Burtka, Julianne Hough, Queen Latifah, LeAnn Rimes and Amber Riley. Christina Applegate, Geoffrey Arend, Will Arnett, Matt Bomer, Julie Bowen, Chris Colfer, Josh Duhamel, Fergie, Misha Gabriel, Camille Grammer, Ryan Guzman, Christina Hendricks, Jane Lynch, Joe Manganiello, Kathryn McCormick, Damian McGinty, Kevin McHale, Amy Poehler, Kyle Richards, Naya Rivera, Zoe Saldana, Harry Shum and Eric Stonestreet. Follow The Trevor Project’s Twitter list of celebrities attending Trevor live at http://twitter.com/trevorproject/trevorlive. They’ll be asking celebs public-submitted questions during the livestream. If you have questions for Kris, tweet them to him and include the hashtag #TrevorLive and they might get asked! The Trevor Project is the leading national organization providing crisis intervention and suicide prevention services to lesbian, gay, bisexual, transgender and questioning youth. If you or a young LGBTQ person you care about is experiencing a crisis, please call the Trevor Lifeline at 866-488-7386. The call is free and confidential. 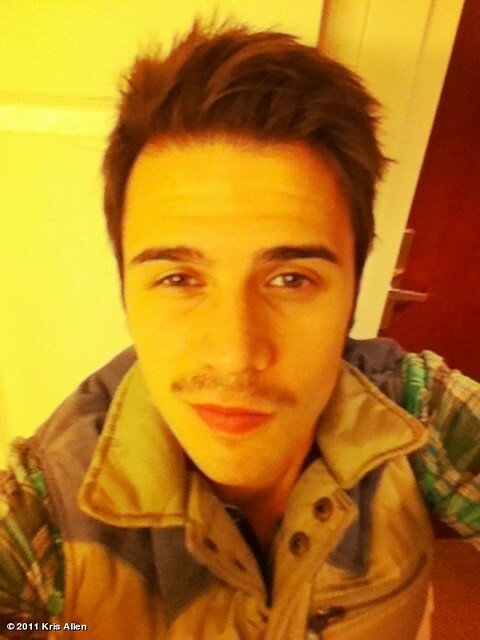 A while back I posted about Kris Allen’s mustache campaign to raise awareness for music education for kids. Kris has since posted two #krisstache updates (see photos embedded below), and as of the time of this post the campaign page on DonorsChoose has registered US$ 6,545 of donations, helping 11,674 kids in the process. At the end of the campaign, the donation will be matched by Music Empowers Foundation, doubling the amount of money raised and the number of children reached. Not for the faint of heart, I know. Kris is enduring enormous ~pain and public humiliation all in the name of charity; will you help him bring music education to kids in need? 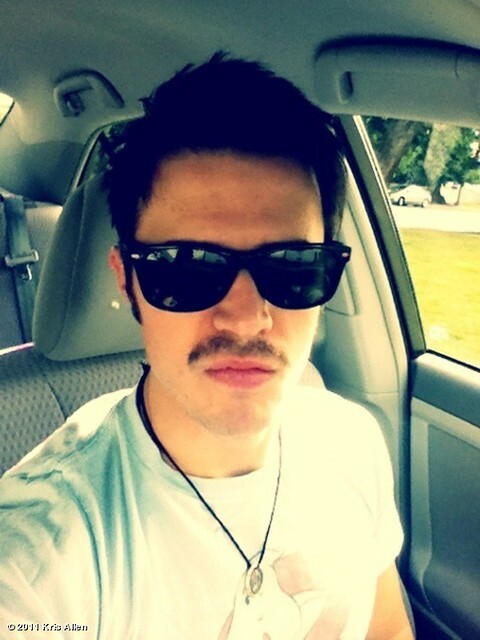 Remember to follow @KrisAllen on Twitter to stay up-to-date on his #krisstache campaign! By following him on Twitter, you could end up having a song written about you too! Raise awareness to this wonderful cause by telling everyone we know! 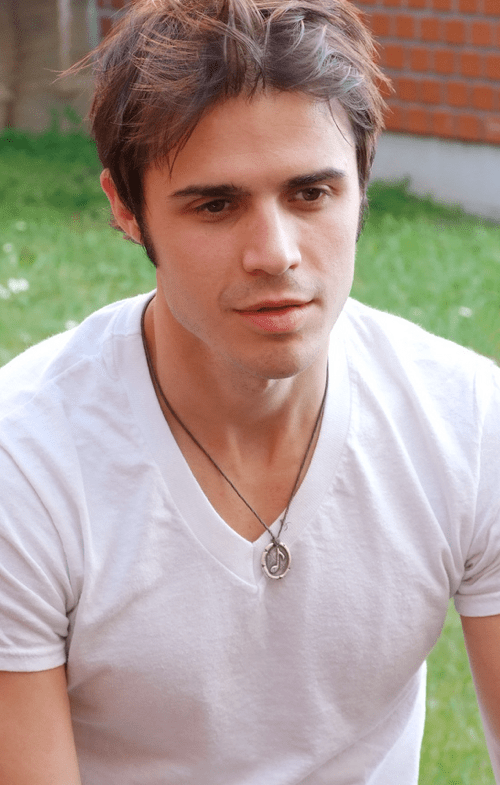 Kris Allen and Music Empowers once again are teaming up in support of music education for kids. For their latest effort the duo are partnering to provide a major grant to Donorschoose.org, the national online charity that matches individual donors to project requests fro teachers in public schools. Funds provided by Music Empowers will be used to match contributions made by individual donors to eligible classroom music education projects. “Once individual donations total 50% of a music project’s cost, we will fund the other 50%,” explained Andy Davis, Founder of Music Empowers. Kris and Andy hope that their initiative will help to fund hundreds of projects and benefit over 10,000 kids. Here is the link to the press release. For the next four weeks, I will subject myself to public humiliation and private doubt by growing what will no-doubt be a ridiculous-looking Mustache. To justify this endeavor, I need your support. Please sponsor my ‘stache by choosing a classroom project below and making a donation of any amount. And wish me and my Mustache luck. The dirty folks over at @TheDirtyMinds are contributing to the Kris Fans Unite x The Girl Effect fundraiser by donating US$ 0.50 per view of the following video, up to $100. You have one day to tell all your friends to watch it and help raise money for charity! 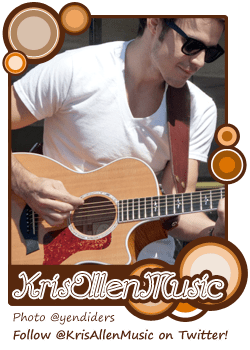 In honor of @krisallen, to support @krisfansunite, we'll donate .50/per view of our Kris Allen's Dirtiest Secret video today, up to $100. 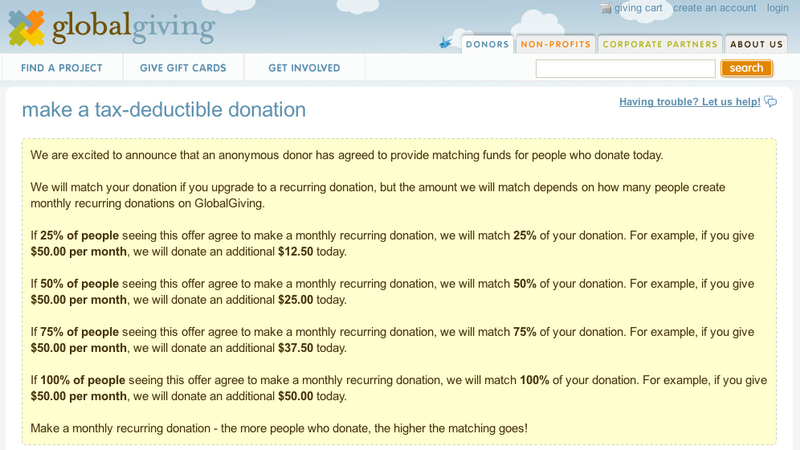 Sherrie‘s generous donation matching has nothing to do with Global Giving’s donation matching campaign. She does not require that you make a recurring donation. All donations made via Kris Fans Unite’s giving page by Nov 15 will be matched (up to USD 5,000.00), whether they are one-off or recurring donations. Do you have time to post a tweet? It’ll mean a one-dollar donation to The Girl Effect! Updated: The campaign is now over! 33 Twitter accounts participated, earning USD 16.50 for The Girl Effect. I rounded it up and donated USD 20.00, which will mean a total contribution of USD 40.00 to the charity after @ArtistSupporter’s donation matching. Thanks to everyone who helped! 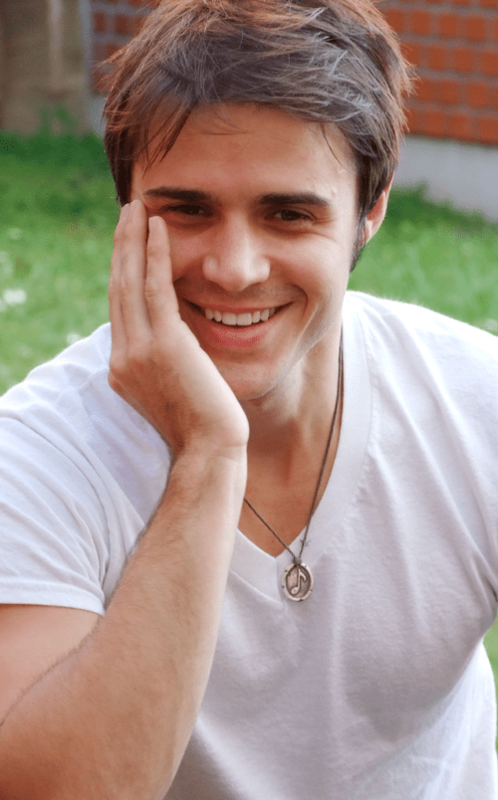 Hey you generous Kris Allen fans! Would you like to help raise money for The Girl Effect by doing something as simple as posting a tweet? 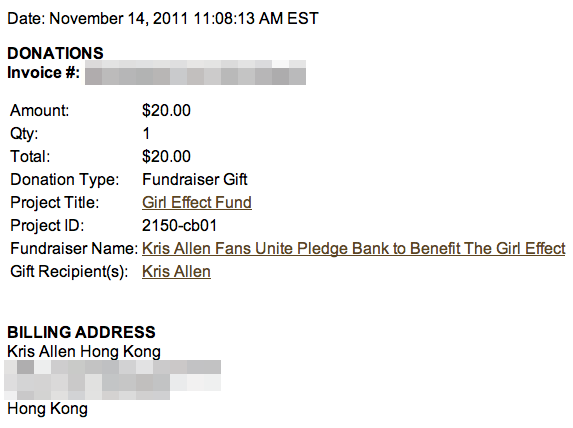 I will donate USD 0.50 for every tweet that promotes the Kris Fans Unite x The Girl Effect fundraiser, up to USD 50.00 (that means 100 Twitter accounts can participate!). Retweet (or RT) does not count.